If a storm has recently destroyed or damaged your home in Minnesota, you and your family may not know how to handle the devastation. You may have questions that need to be answered right away. You may also need to make quick decisions. Intelligent Design is here for you when natural disasters strike your property. We provide storm damage repair for homeowners in Maple Grove and Minneapolis. If you need assistance in rebuilding your home, contact us today. Below is a short guide of what you may want to do after a disaster. ● Protect all important documents. Get a heavy-duty small safe to put your documents in. Documents may include original building blueprints, warranties, insurance policies, and purchase agreements. ● Gather contact information. This would include emergency contacts, next of kin, your insurance company, a trusted contractor, and lodging arrangements. ● Fortify your home. Intelligent Design offers home inspections including your roof. We can identify weaknesses in your home’s structure and perform the necessary maintenance. ● Check Your Insurance Policy and Home Warranty. Don’t assume that you have adequate insurance coverage or warranty protection. Contact your insurance provider to review your policy. Also, review what your home warranty will cover. ● Have an escape plan. Where will you go if you cannot stay in your home? Whom will you stay with? If your car is damaged in the storm, who is coming to pick you up? One of the first phone calls you will make if a storm has damaged your home is to your insurance provider. The sooner you call them, the sooner they can send an insurance adjuster to your home. If possible, take photos of the damage and make some notes. When you call your provider, give them as many details as possible including the time and date of the incident. Ask the insurance agent what the next step is. Comply with their requests as soon as possible. If your property was damaged in a natural disaster, there’s a good chance that other properties in your area were damaged as well. All affected homeowners will be searching for a contractor to fix the damage as soon as possible. You may benefit from contacting a contractor as soon as possible. When you contact Intelligent Design, we can send a contractor out to your home to inspect the damage. We can also work with your insurance adjuster to confirm that the damage was caused by a natural disaster. We can provide comprehensive roofing and home repair to take the worry out of recovering your damages. 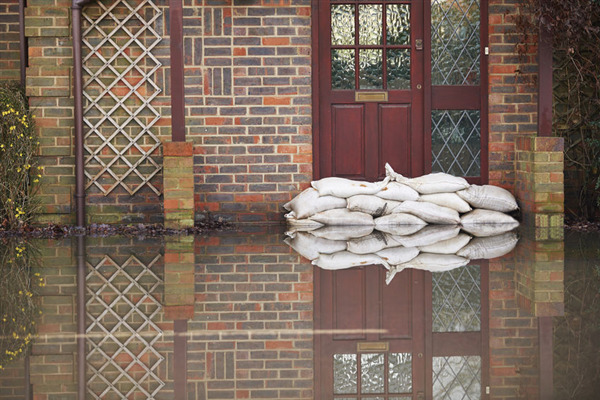 If your property was damaged by a storm, we can help you rebuild your home. We offer roofing repair and replacement services. To schedule service, call us at 763-315-0745, or you can message us on our contact page. « What Are the Most Vulnerable Areas of Your Commercial Roof?